I discovered yesterday how important it was to make sure everything on my website was copyright protected, as well as ‘right-click-disabled’. Not that I have had an attack of copiers, or anything like that. But, in listening to a class about photo studio work that I attended with ‘The Santa Claus Conservatory’ there was good discussion on the pitfalls of not protecting your posts (of pictures, in particular). 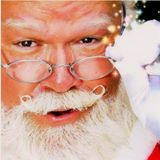 So, I have added copyright warnings to all of my webpages on my www.sugarhillsanta.com site. I think I will add them at the bottom of every blog post also, since sometimes I have photos posted there and other information that should be protected. On another note, I have begun getting lots of requests for visits for the upcoming Christmas season and have sent out e-mails to past clients asking them to book as soon as possible so that they can get their prime dates reserved. 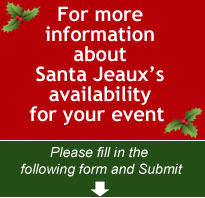 If you, the reader, wish to have Santa Jeaux, me, visit you this coming Christmas, please hire me soon. I serve the entire Atlanta metropolitan area to a distance of approximately 50 miles from Buckhead.